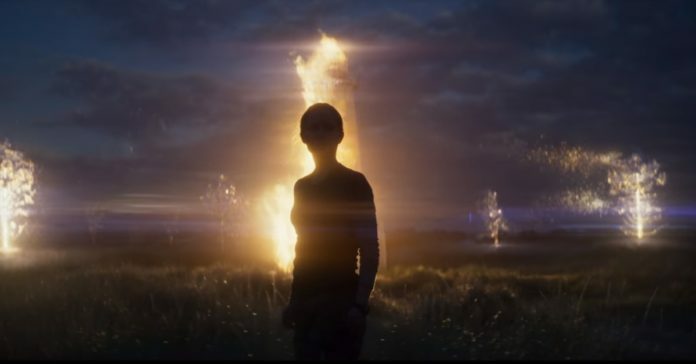 As a huge fan of both Alex Garland’s previous work (Ex Machina, 28 Days Later, Sunshine, Dredd, Etc) and Jeff VanderMeer’s best-selling book on which Annihilation is based, to say that I was eagerly anticipating the film adaptation is understating things a bit. It would be more accurate to say I was giddy like a school girl whenever a trailer would come on the TV. 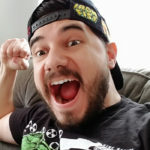 I read every interview with Alex & Jeff that I could leading up to the release. I combed through first screening reactions on Twitter. All of it was only making me more excited to see what would surely be a Sci-Fi masterpiece. I love the book, I love Garland – what could go wrong? Well, Garland mostly ignoring the book is where things can go wrong. As is often the case with book adaptations, Annihilation the film, while unique and interesting throughout, is nothing compared the book. I know some of you are likely rolling your eyes saying, “Well, of course it is. The book is almost always better than the movie. You have to judge them both on their own terms.” This is true; however, the way in which Garland adapts the books is where I have the most trouble – it’s also the reason I find myself having trouble disconnecting it from the book. I have book adaptations that I enjoy – The Lord of the Rings films, The Martian, the Harry Potter films (to varying degrees), & Jurassic Park all spring to mind most immediately. Those films establish the world that the books created well, but create a visual language that’s very much their own. They’re not beholden to the books they’re based on, but they’re true to them and improve upon the source material. Garland’s Annihilation feels like he takes the spine of the book and tries to tell a similar story on top of that; however, the problems stem from the changes he makes that aren’t necessarily better or more interesting than the source material. 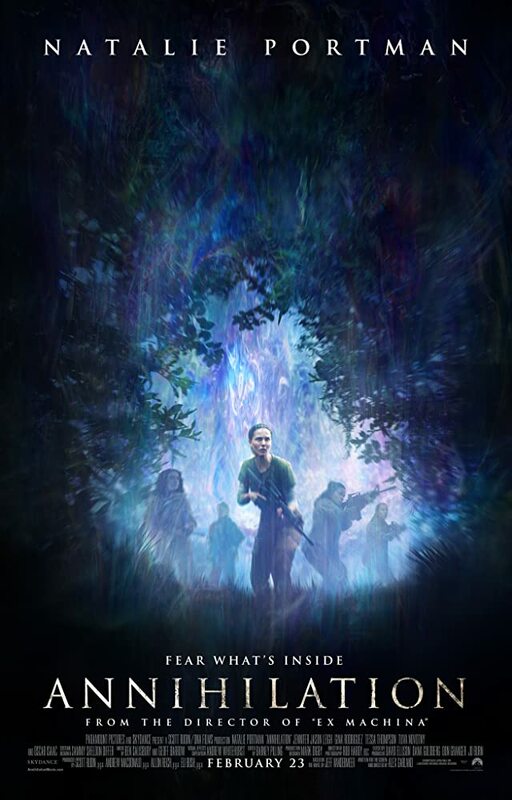 For those that need a brief synopsis, Annihilation follows a cellular biologist (Natalie Portman) that signs up to tag along on an expedition into a quarantined area only referred to as Area X. I’ll avoid the rest of the plot to avoid any and all spoilers. 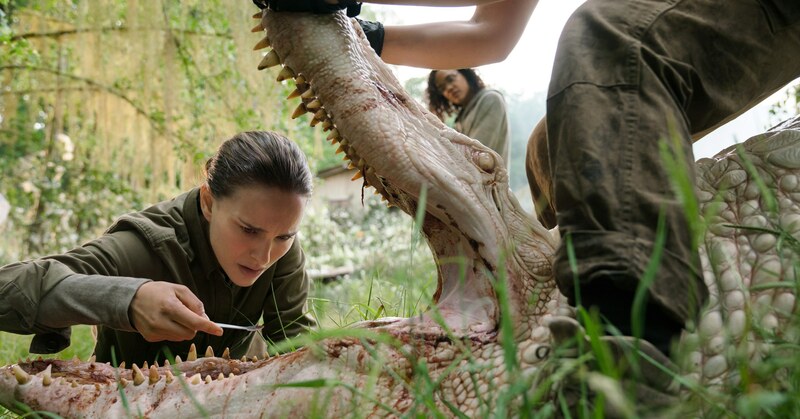 Regardless of the disconnection from the book to the film, I will say that the film version of Annihilation is by no means a bad movie. Garland is a master of Sci-Fi, so those that don’t have the baggage of the book in their head will likely find the film to be very interesting and original in terms of the visual style and overall conceit of the film. Directorially, Garland knows how to fill a frame and build tension. What Garland translates well from the book is the eerie, almost dreamlike state of things once inside Area X. His confidence has obviously grown since his stellar directorial debut, Ex Machina. As a writer, Garland’s original profession, he’s usually most at home; however, he removes so much of the source material that the film is left feeling a bit empty and slow moving – at least for someone who loved the book. Did I mention I love the book?! All of the performances are top notch, as well. Natalie Portman leads the film with confidence and charisma. 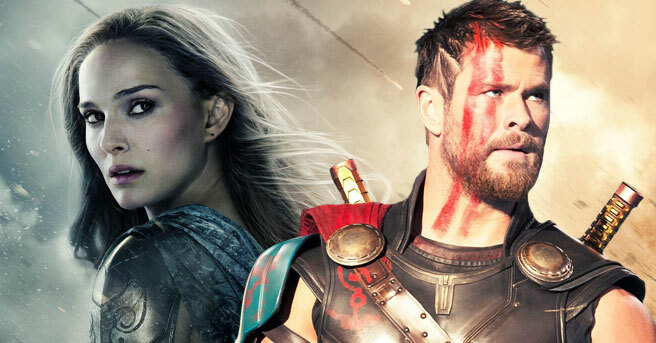 We all know things can go either way in terms of performance with Portman – there’s good (Black Swan, Closer, V for Vendetta), the bad (Thor, Thor: The Dark World) and the ugly (the Star Wars prequels). Thankfully, you can add Annihilation to the good column, as nothing rings untrue in her performance. Oscar Isaac also turns in another excellent performance as two distinct versions Natalie’s estranged/mysterious husband. The film hinges on the couple’s believable chemistry – luckily Portman and Isaac feel right at home with one another. Tessa Thompson, Jennifer Jason Leigh, & Gina Rodriguez all add little flourishes to their characters, as well, but they’re each not given much screen time to do much more than react to their surroundings once inside the mysterious Area X or what they call “The Shimmer” in the film. My issue with Annihilation is that Garland chooses to gut most of the interesting details from the book in favor of telling a more sparse, tension-driven story filled with questions – most of which he doesn’t feel the need to answer. I kept waiting for certain reveals from the book, but almost none of them came. Some of these reveals really flesh out the characters – and even the title of the book/film, but Garland seems less interested in the answers the book provides in certain instances. Don’t get me wrong, I’m all for ambiguity and letting an audience make their own choices, but in this case, the decision feels more like a cop out. And then there’s what I’ll call “the lighthouse scene” to make things as spoiler-free as possible. Here Garland seemingly combines two scenes/settings from the book to create a Frankenstein-ed ending that handles answering questions in a more confusing manner than the book and is, at times, frustratingly cheesier than the rest of the film. Based on all of these observations and transgressions, I can only guess that the critics hailing Annihilation as the latest sci-fi masterpiece haven’t read the book – which is a shame. If you haven’t, I’d suggest watching the film before reading the book. Perhaps that way you’ll only be disappointed by the film in hindsight. As I’ve said, the film is by no means bad – it’s certainly better than other recent sci-fi outings (*cough* The Cloverfield Paradox *cough*); however, as a lover of the source material on which it was based, I can’t fully endorse it. Maybe I’ll come to appreciate it more with time and repeated viewings. Sadly, after one go-round, it just doesn’t live up to the hype. 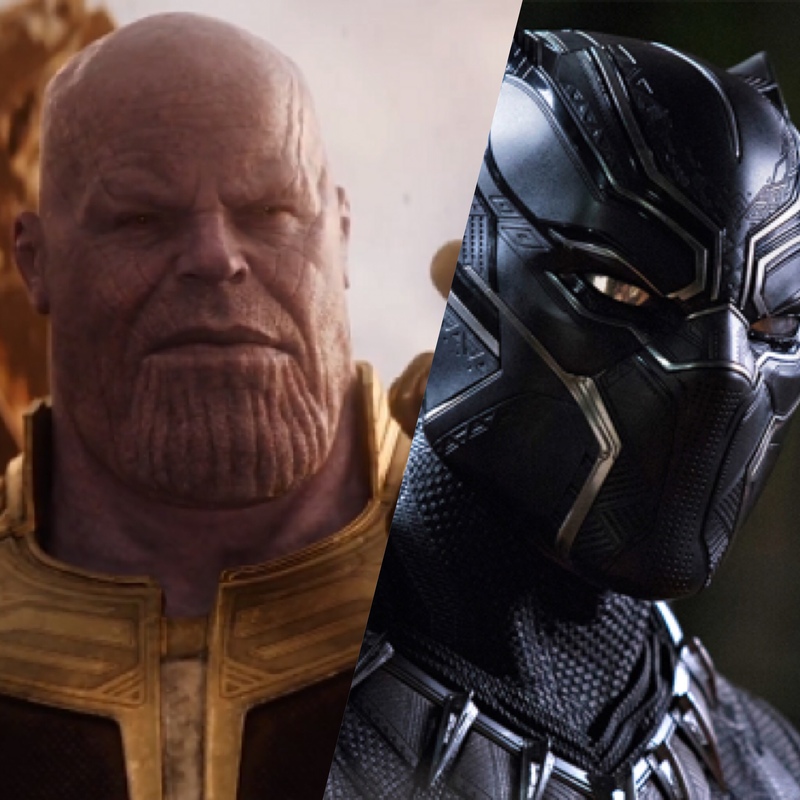 As is often the case with book adaptations, Annihilation (the film), while unique and interesting throughout, is nothing compared the book.